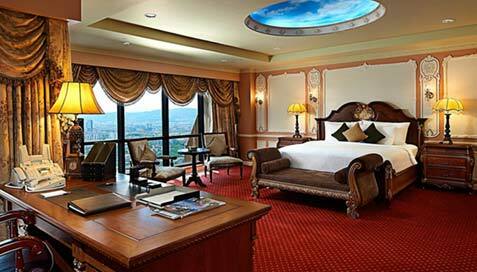 The Ambassador Penthouse is the hotel’s largest and most lavishly appointed. Be cosseted in a comfort zone surrounded by your loved ones with contemporary and sophisticated interiors brought to life by rich earthy tones flowing throughout the spacious rooms. 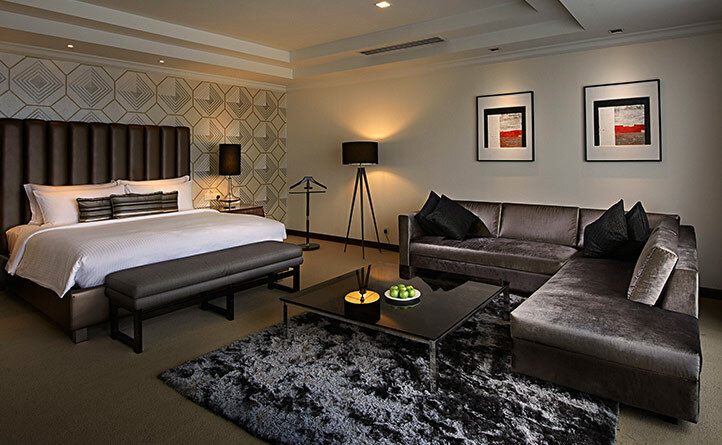 Experience premier hospitality at our hotel near Bukit Bintang. 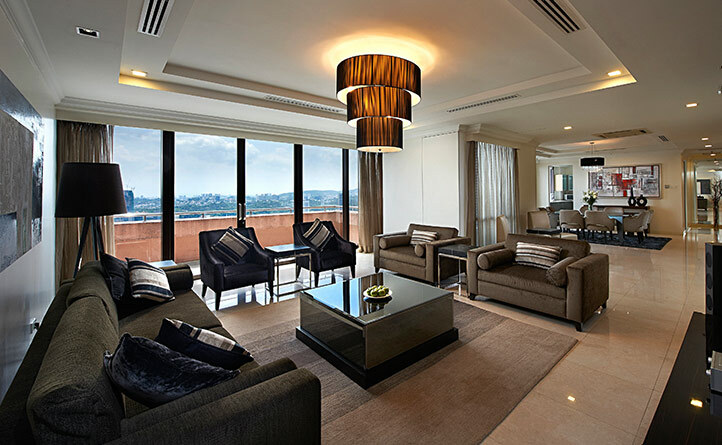 View our Luxurious Penthouse Offer. → Personalised check-in and check-out at Club Lounge, Level 14. → Flexible check-in and check-out time, confirmation with the hotel 3 days in advance prior to arrival. → Complimentary breakfast at the Club Lounge from 6:30am to 10:30am. (Invited guest by Club Floor guests at MYR58.00nett per person). → Complimentary evening cocktails at the Club Lounge with Tapa’s from 6:00pm till 7:00pm. (Invited guest by Club Floor guests at MYR60.00nett per person). ​→ Happy Hours (Buy 1 Free 1 on House Wine & Beer) from 7:00pm – 9:00pm. → All day free flow coffee, tea, juices and soft drinks at the Club Lounge. → Complimentary one hour usage of the in lounge boardroom; prior booking and subject to availability. → Complimentary local calls; applicable to area code 03. → Complimentary 2 pieces laundry pressing per room per day; non-accumulative. → Daily turndown service with Chef's special treats. 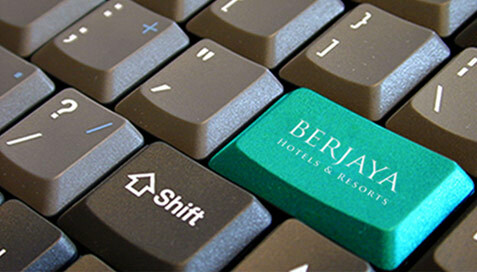 → Complimentary WIFI access in guest rooms and all public areas of the hotel. → 20% discount on Food and Beverage, excluding promotional items and alcohol.